Conspiracy theories swirl around many accidents, terror attacks or disasters. 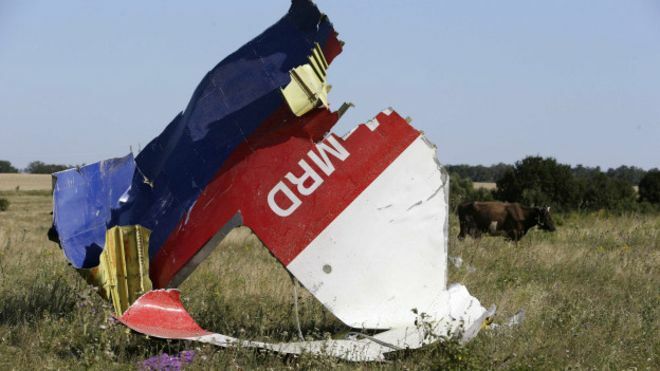 It’s not surprising, then, that a host of different claims surround the crash of Malaysian Airlines Flight MH17. 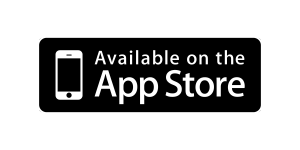 There are theories about fighter jets and different types of missiles. So what really happened? The story starts on the bleak steppes of eastern Ukraine. A bitter cold wind blew as I walked up to a simple memorial commemorating the tragic death of 298 people in the worst air disaster for two decades. 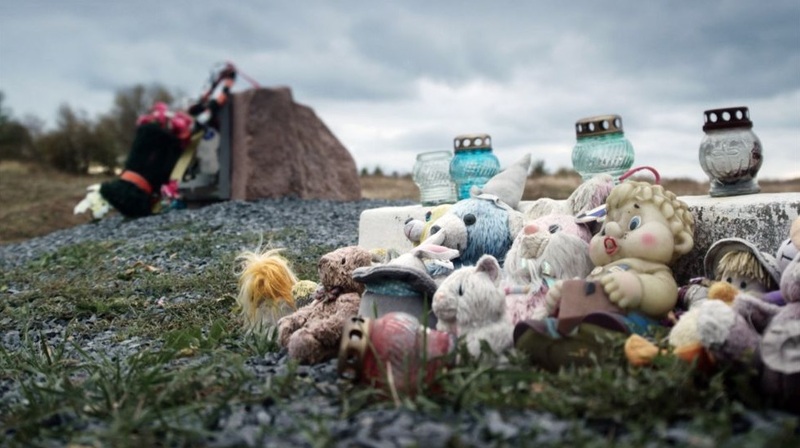 Around the memorial lay a collection of teddies and soft toys – a cruel reminder that 80 children lost their lives here. On 17 July 2014, the Boeing 777 had left Amsterdam, bound for the Malaysian capital Kuala Lumpur. But it suddenly broke up in mid-air, killing everyone on board. The air disaster came just four months after the mysterious disappearance of another Malaysian airliner. At the time, the Ukrainian government and the Russian-backed rebel militia were locked in a bitter civil war. After 15 months of deliberation the official technical report by the Dutch Safety Board concluded that a single, powerful, Russian-made Buk ground-to-air missile hit the plane. It’s widely assumed that Russian soldiers or pro-Russian rebels fired it, mistakenly thinking they were targeting a Ukrainian Air Force jet. But right from the start Russia and the rebels fiercely contested the Western explanation. Four days after the crash, two of Russia’s most senior generals accused the Ukrainian government of deliberately pushing MH17 off its flight path into the war zone. They highlighted a momentary blip on Russian radar, arguing that this showed a Ukrainian Su-25 fighter jet, armed with missiles guaranteed to hit targets within a range of three miles. As the theory that MH17 was shot down by a plane not a ground-to-air missile swept across the internet, Billy Six, a freelance journalist from Berlin, joined the hunt for clues. He spent four months in Ukraine and interviewed more than 100 people in the rebel-controlled area around the crash site. Seven people told him they saw a fighter jet on the day MH17 crashed, and one said he saw a missile being launched from a plane. Billy himself thinks two fighter jets shot down MH17 – one firing its cannon, the other firing a missile. The first photographer on the scene, Oleg Vitulkin, a member of the pro-Russian militia, rejects the Western account. “There’s no way that we would have launched this missile as everyone would have seen it,” he says. Vitulkin didn’t see another plane that day, but Natasha Voronina believes she did. She was sitting right underneath the point at which MH17 disintegrated. It was harvest time and she was having a break when she heard a loud bang. She looked up at the sky and saw black smoke and what she describes as “two aeroplanes, little ones like silver toys” fly in different directions. But Western defence analysts deride the Russian defence ministry’s claim that a Ukrainian Su-25 shot down MH17. Nick de Larrinaga, European editor of IHS Jane’s Defence Weekly, says the idea is “absolute nonsense”. The Su-25 is a close air-support aircraft, designed to operate just above ground level, attacking tanks and other vehicles, he says. It’s “effectively a flying tank”, which doesn’t have a pressurised cockpit. 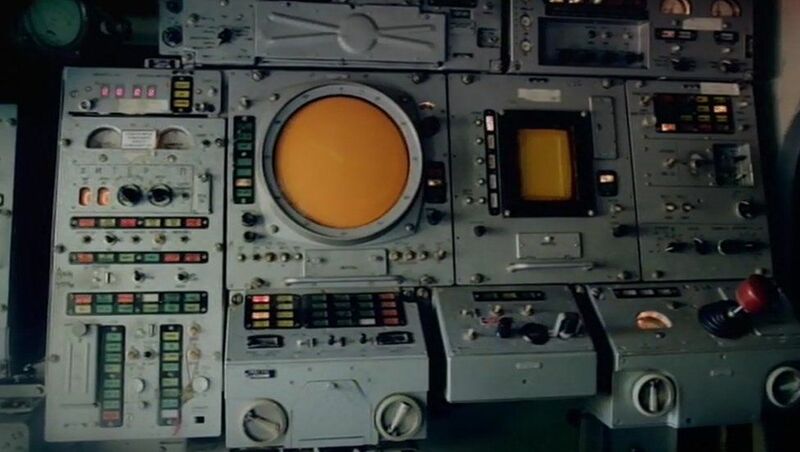 As such, it is not designed to operate at high altitude and shoot down aircraft – which is a major problem for the Russian theory, given that we know MH17 was flying at 33,000ft (10,000m) when it was hit. This has not stopped the Russian media from continuing to explore the theory. The slogan of the Moscow-based, international news network, Russia Today – “Question More” – neatly encapsulates the Kremlin approach. Yana Erlashova, one of Russia Today’s star reporters, found many witnesses who said they had seen jet fighters. “I don’t push any scenarios or theories, I just report what people say,” she told me. With the help of the Russian Air Force, she staged an extraordinary experiment and demonstrated that the Su-25 is capable of reaching 33,000ft. But it turns out that this heavily armoured fighter jet can reach that altitude only by discarding its weapons. And firing a weapon at 33,000ft would cause it to stall. What’s more Nick de Larrinaga points out the Su-25 is actually slower than a Boeing 777, so it couldn’t even have caught up with MH17. Oh, and it uses small, short-range, heat-seeking missiles, which aren’t designed to shoot down distant aircraft. If that wasn’t enough, the Dutch Safety Board found that around 800 pieces of shrapnel had ripped through MH17, clear evidence of the deadly power only a ground-to-air missile could deliver. The Buk missile has a 70kg (154lb) warhead, which is far more powerful than the warheads on the air-to-air missiles fired from fighter jets. But what about the witnesses who described seeing other planes right next to MH17 before it crashed? I spoke to other witnesses who had clear views of MH17 breaking up and are just as adamant they didn’t see any other planes that day. What’s more, we know MH17 broke up into a number of large pieces, which then travelled in different directions and from the ground could well have looked like fighter jets. Also, what about the Russian military’s claim that another plane was briefly visible on its radar? David Gleave, a former air accident investigator, explains that when an aircraft breaks up in mid-air, sometimes it continues to transmit radar data on the way down. It may even change direction if it loses its tail. 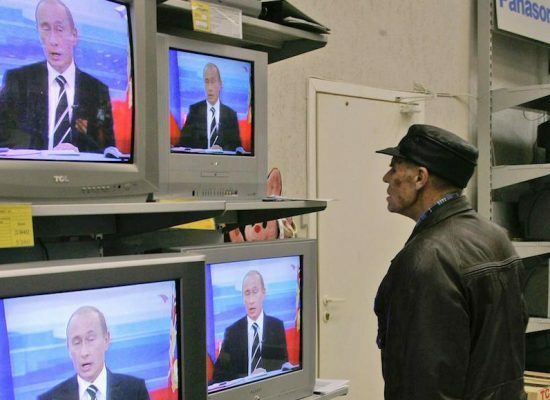 Undaunted, Russian TV claimed before very long, to have the smoking gun. Four months after the crash, Russia’s most popular TV station, Channel One, broadcast an incredible satellite photograph showing a different, supersonic and deadly effective, fighter jet – supposedly a Mig-29 – at the exact moment it fired a missile at MH17. But shortly after the images hit the internet, they were debunked. 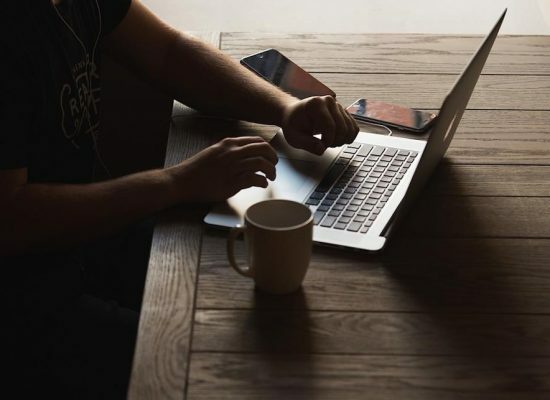 Leading the charge was Eliot Higgins, a former office worker turned blogger, who set up an online investigation website called Bellingcat just three days before MH17 crashed. Higgins and his volunteer investigators, sensed the photos were fakes made up of composite images from different websites. The fighter jet actually looked more like an Su-27 fighter (made by Sukhoi, the same company as the Su-25) than a Mig-29, and the Boeing 777 was pasted on the satellite photo in the wrong position. The scale was completely wrong. So we set out to find the pilot and tracked him to a heavily guarded airbase in southern Ukraine. Standing next to his Su-25, Capt Voloshin explained that he was deeply offended to be accused of murdering 298 people. He said that other than the fact that the witness had worked at the airbase, everything else was a lie. 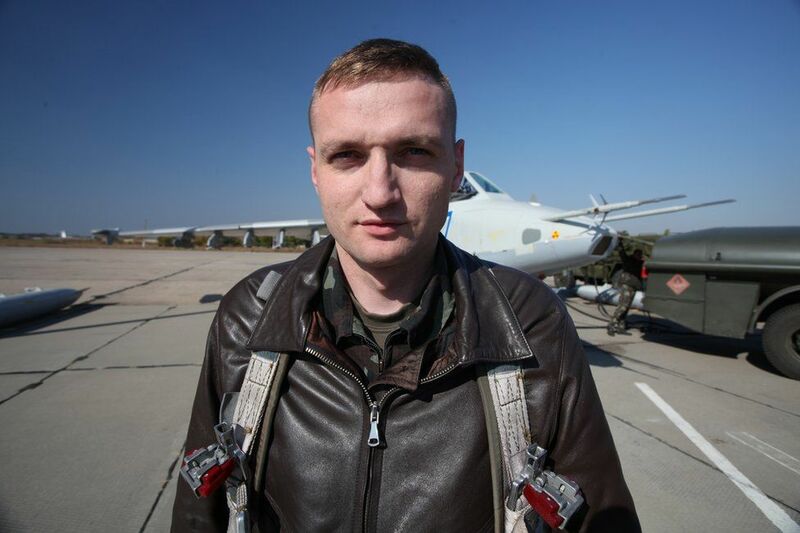 Capt Voloshin had flown a mission that had ended with air-to-ground missiles being fired. Two of his colleagues had been shot down and he had been understandably upset. But this happened six days after MH17 was shot down. On that day – 17 July – he said the Ukrainian Air Force hadn’t flown over the rebel-controlled area. Much of the Russian media still doubts that a Buk missile was involved. Russia Today’s Yana Erlashova says she tried hard to find evidence of the huge 18ft (5.5m), 1,500lb (700kg) missile being launched but found nothing at all. Just as the local photographer, Oleg Vitulkin, had insisted. 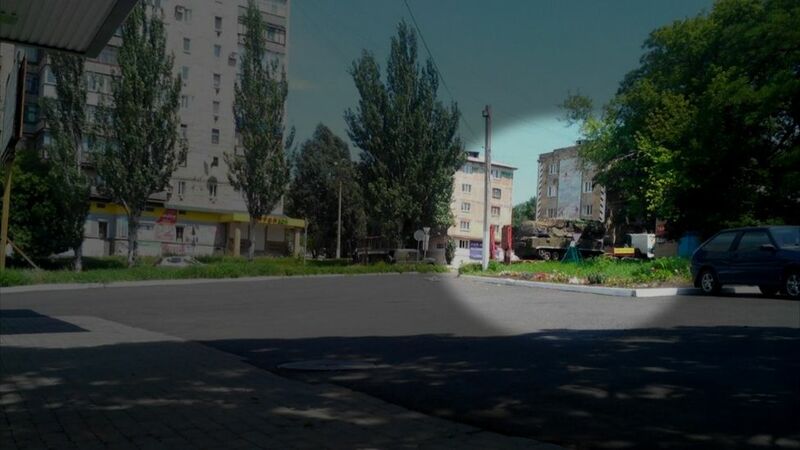 At the time, however, a series of photos, videos and social media posts were published which point to a missile launcher, heading east on the day MH17 crashed, from the rebel capital of Donetsk deep into rebel-held territory. 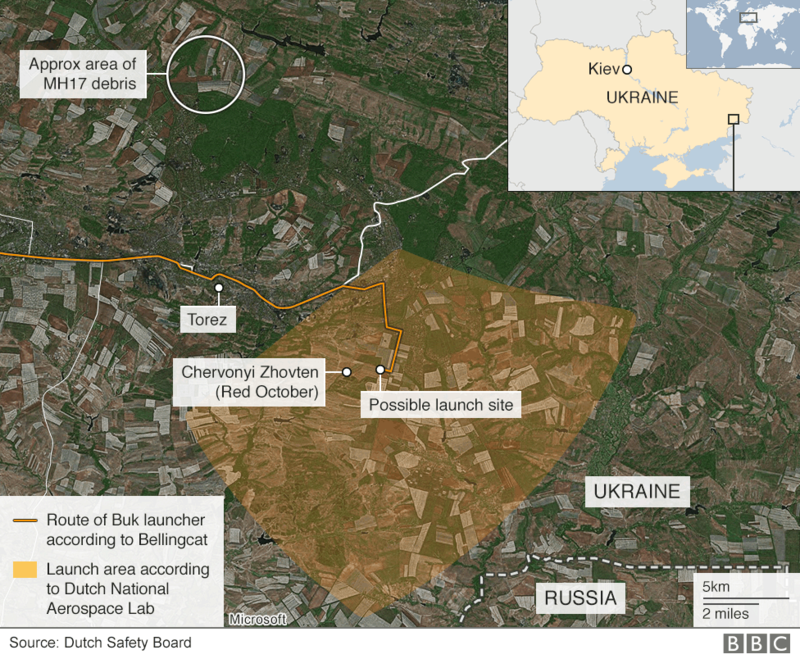 The route ends in the corner of a large field, about 15 miles (25km) south-east of where MH17 was hit and about a mile east of the village of Red October – a field right in the middle of the area identified by the Dutch report as the likely launch location. The pro-Russian rebels controlled this whole area. 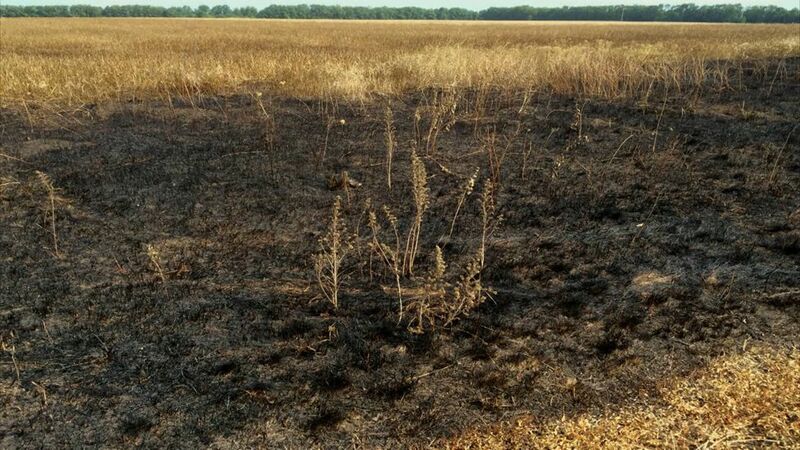 What’s more, launching a Buk missile generates searing temperatures and one photograph taken in the same field a few days after the crash, shows a small patch of burnt grass. But could someone fire a massive missile without anyone taking a picture of it? It turns out that three hours after the crash two photographs were posted on social media. 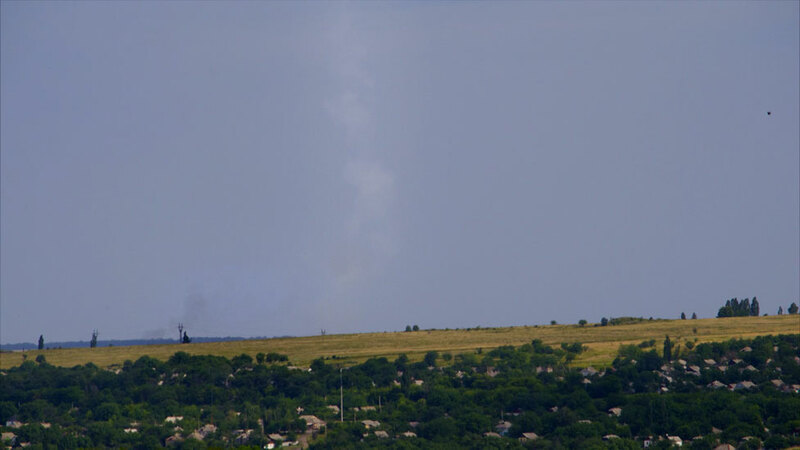 They’re claimed to show the distant plume of smoke from the missile that brought down MH17. It’s alleged the photos were taken by a man from a classic Soviet-style housing estate, seven miles north-west of the likely launch site. 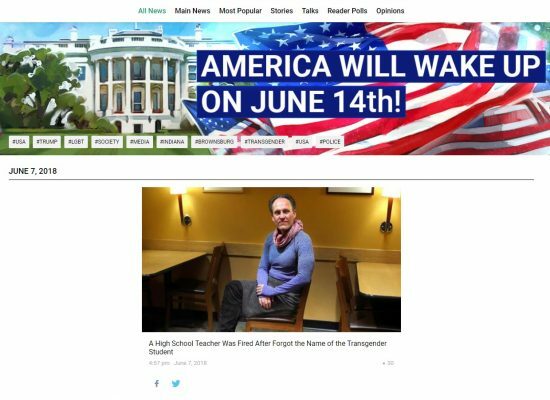 The first photograph is one of two images that were posted on social media. 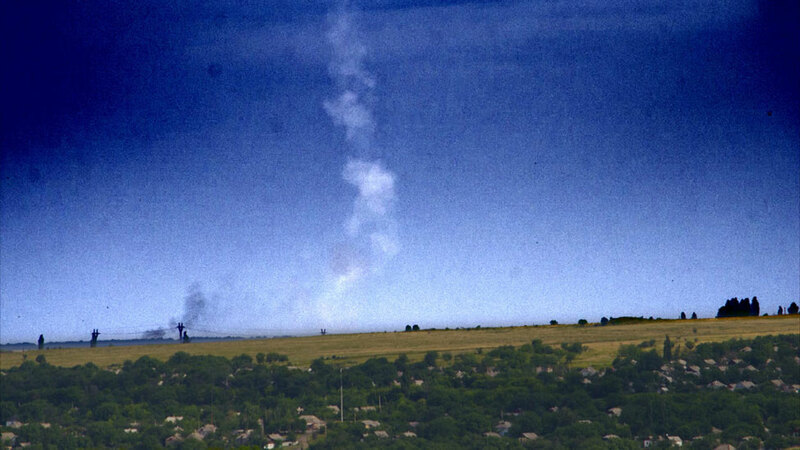 We have enhanced the second image so that it easier to see the plume of smoke. 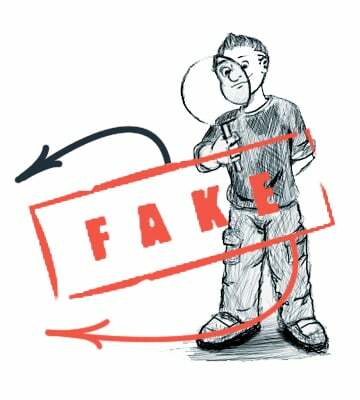 But some, including Dutch blogger Max van der Werff who spent time in the area investigating the photographs, think they are fakes. Russia Today’s Yana Erlashova, for one, claims the wires in one of the photos prove it couldn’t have been taken from the photographer’s balcony. She also insists that his ninth-floor balcony didn’t have a view of the launch location. But Higgins insists the cables are in exactly the right position to be caught on camera. Other bloggers, such as Marcel van den Berg who has analysed all the information carefully, argue that the photos are genuine. 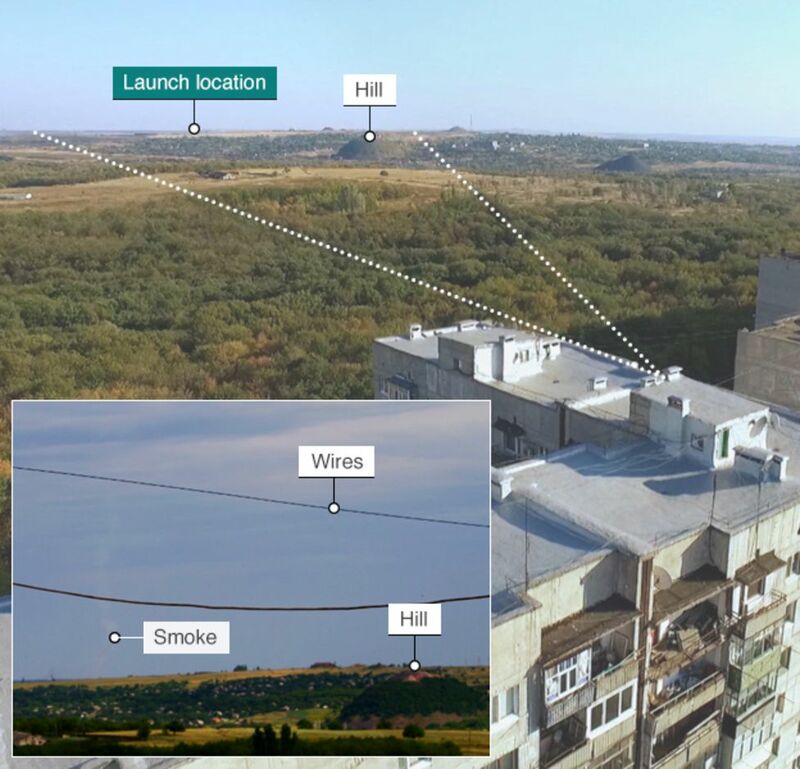 So, to the bemusement of the local stray dogs, we flew a small drone up over the block of flats, and we discovered that you can see the wires, an unusual, conically shaped hill, and in the distance the alleged launch location near Red October. I also went looking for someone who had witnessed the Buk missile. Finally, I drove down a bumpy track into the small village of Red October, just a mile west of the alleged launch location. Today the brightly painted wooden houses are eerily quiet. Back in July 2014, this rebel-held area was close to the front line, as evidenced by a large shell I saw embedded in the grassy verge. 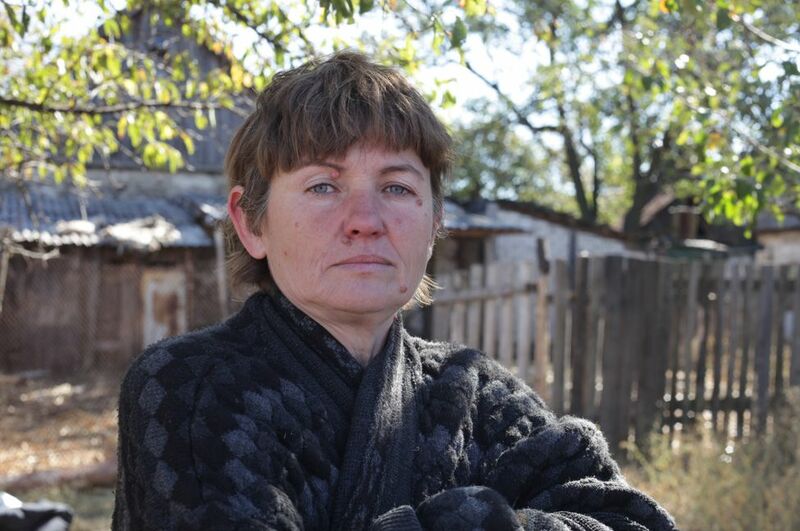 On the day MH17 crashed, Valentina Kovolenko was digging potatoes with her daughter. Standing in the same spot she told me a large noise had made her look up. At first she thought it was a plane crashing, but she realised it was, in fact, a missile being launched, the like of which she had never seen before and has never seen since. “We saw what turned out to be a missile but it went behind the clouds. And a few minutes later we heard what sounded like an explosion,” she said. From her house Valentina has a commanding view, barring any clouds, and she said she didn’t see any other planes that day. The US Government says it has secret spy imagery of a Buk missile being launched, but it has refused to publish it for fear, apparently, of revealing its technical capabilities. Ray McGovern, a CIA analyst for 27 years, is not convinced, though. He argues the US has led an effusive propaganda effort “to paint Putin in the blackest of colours” to bolster support for sanctions. Whether these revealing US spy images exist or not, the Russians have released a series of satellite photographs. They claim to show a Ukrainian army Buk missile launcher, first at a military base, and then – on the day of the crash – at a front-line Ukrainian army position near the village of Zaroshenskoye. So this is a second Russian theory – an alternative to the fighter jet theory – that MH17 was shot down by a Ukrainian Buk missile. 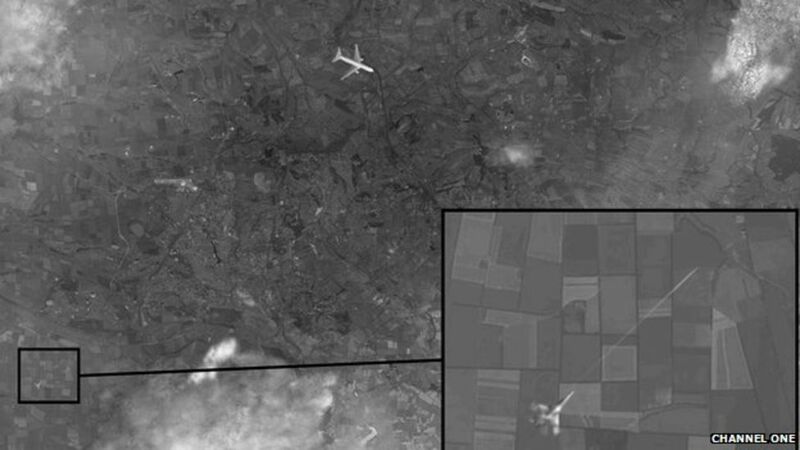 But the online investigator, Eliot Higgins, insists the Russian satellite images – allegedly taken on 17 July – are fakes. They claim to show the Ukrainian missile launcher absent from the military base on the day of the crash. 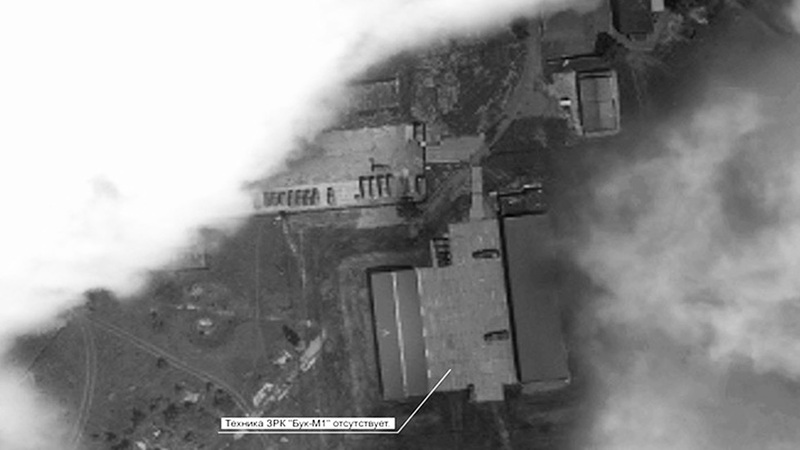 However, a satellite image from American imaging firm Digital Globe that we know was taken on that day clearly shows the missile launcher still there. 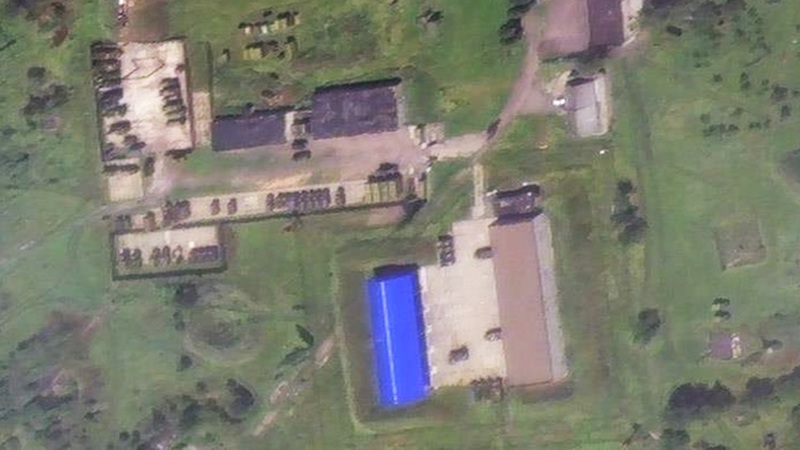 Compare satellite imagery from the Russian MoD and DigitalGlobe. Also, not a single witness has come forward to say a Buk missile was fired from the second site near Zaroshenskoye. What’s more, it seems that the location was not even held by the Ukrainian Army. The Russian Ministry of Defence also claims a video showing a Buk launcher with one missile missing, reveals a Ukrainian Army Buk on Ukrainian territory. But once again the Russian claims quickly fall apart. In fact it looks like exactly the same Buk missile launcher that travelled from the rebel capital of Donetsk to Red October on the day of the attack. And the video appears to have been filmed as it headed towards Russia the day after the attack. The journalist Billy Six – who, remember, believes MH17 was shot down by Ukrainian jet fighters, and who spent several months in the area – concluded it must have been filmed in rebel-held territory. Soon a new Russian voice added its voice to the Ukrainian Buk theory. Surprisingly it came from the Russian manufacturer of the Buk missile, Almaz-Antey. The company argues that the holes in the wreckage prove it was an old version of the missile, no longer used by the Russian army, though still in use in the Ukrainian army. Soon after it made this claim though, a photograph from 2013 was discovered with President Vladimir Putin standing in front of exactly this type of missile. 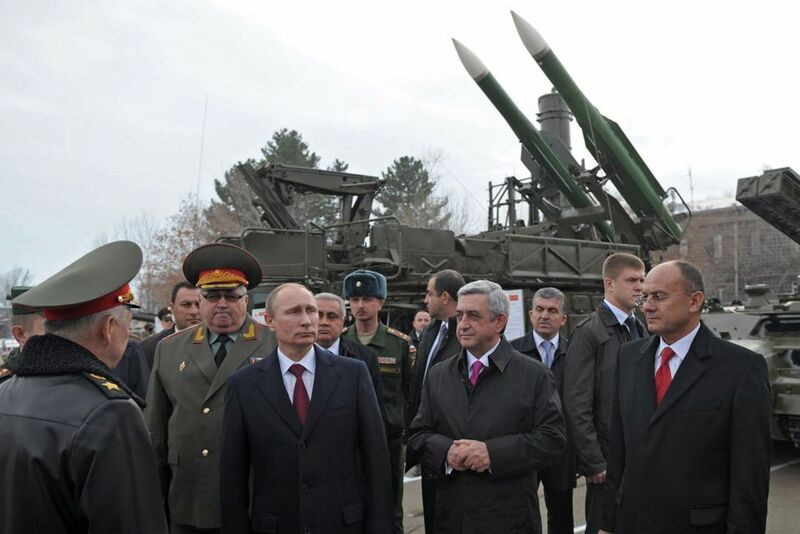 And in 2015 those same missiles were proudly displayed at a May Day parade in Siberia. Not to be put off, the manufacturer responded with some dramatic experiments. It analysed the damage to the fuselage and the likely angle the missile hit the plane. It then showed off a complex mass of calculations from what it called a “special supercomputer device”. This time it said the missile was even older and one that was definitely not in Russian service. Once again, the experts I spoke to in the West were damning. Igor Sutyagin, a former Soviet air defence officer and now a defence analyst at the Royal United Services Institute in London, complained that it is “not scientific”. He said the idea was to “kill the truth, providing excessive details to create a smoke screen”. In the town of Snezhnoye just a few miles south of the crash site, I visited an apartment block where a huge gaping hole and scattered rubble is still testament to an Ukrainian air strike just two days before MH17 crashed. Eleven civilians were killed. By the summer of 2014 the pro-Russian rebels were under siege from the ground and from the air. And this may be why a large convoy from the Russian 53rd Anti-Aircraft Missile Brigade headed from Kursk in western Russia towards the Ukrainian border, just a month before the MH17 crash. 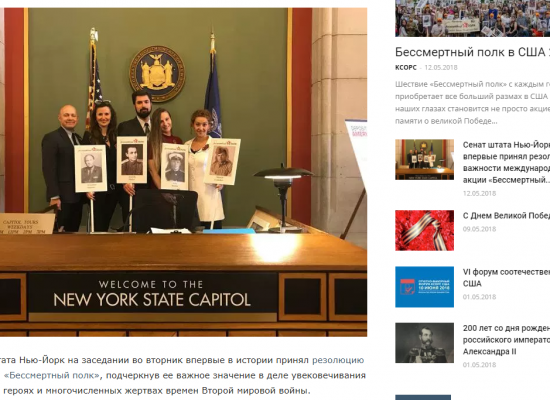 The progress of this convoy was once again tracked by the online investigators at Bellingcat, purely by looking at the social media posts of passing drivers and the Russian soldiers themselves. They spotted among the convoy the same missile launcher that had been seen on the day of the crash in eastern Ukraine. Blotches of paintwork and other marks look identical. As the rebels had no air force, the Ukrainian Army had no need for air defence. In contrast the rebels had to rely on increasingly powerful ground-to-air missiles to defend themselves. 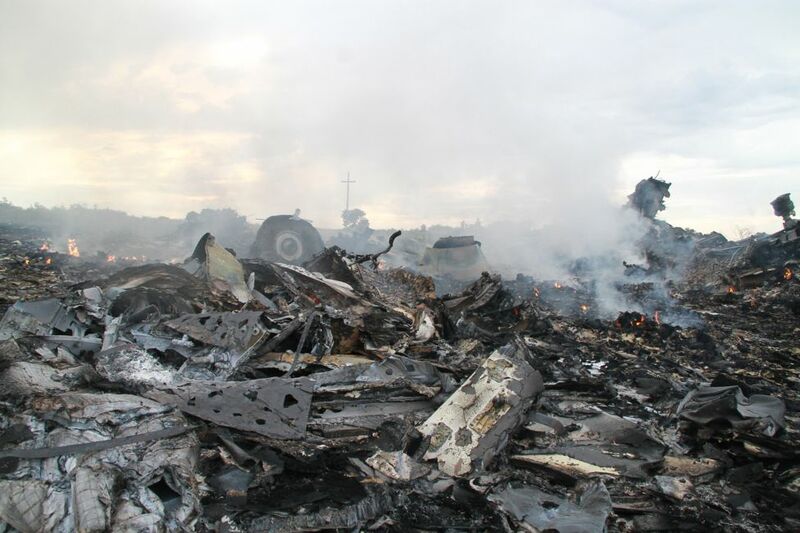 Many Ukrainian planes were hit. Just three days before MH17 was downed, the rebels shot down an Antonov-26 transport plane flying at 21,000ft. Far from the front line, I was shown inside a Ukrainian Army Buk missile launcher. The mass of switches and indicators clearly needs to be operated by highly trained military personnel. As defence analyst Igor Sutyagin points out, that expertise is present in the Russian Army, it is not likely to be present among the rebel militia. Perhaps this played a role in the MH17 disaster? A series of phone conversations were intercepted by the Ukrainian security service. One features a rebel soldier apparently reporting to a Russian intelligence officer that the rebels had shot down what they thought was a Ukrainian plane. So what’s going on? 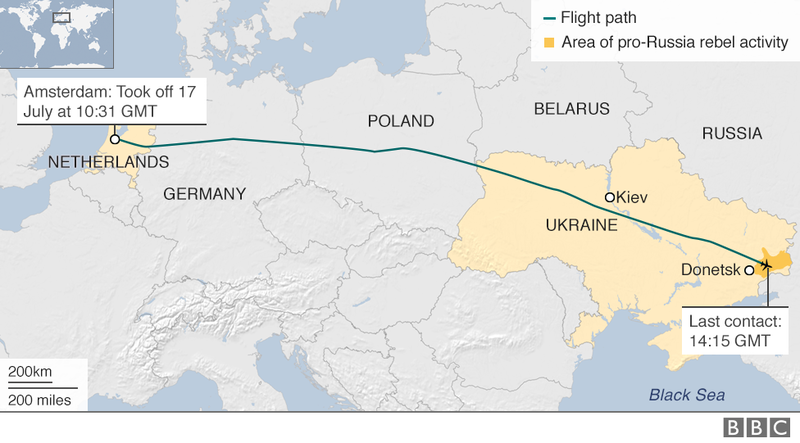 Why have so many conspiracy theories been produced about MH17? And why is it that, unlike most conspiracy theories – for example, those about 9/11 – they have actually been state-sanctioned? One British author who worked in Russia for several years as a TV producer, has traced how the Kremlin has adapted the doctrine of maskirovka, or military deception, for the digital age. Peter Pomerantsev, author of Nothing Is True and Everything Is Possible: the Surreal Heart of the New Russia, claims President Putin has complete control over the Russian media and it now works like a cult, with non-stop conspiracy theories, designed to confuse and bamboozle Russians so that “critical thinking breaks down”. Steven Pifer, a former US ambassador to Ukraine, agrees. 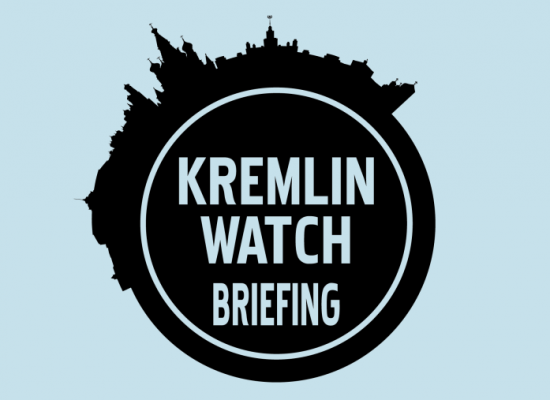 He argues the major TV networks, such as Russia Today, “are operating as an arm of the Kremlin and designed to put out a Russian propaganda line”. 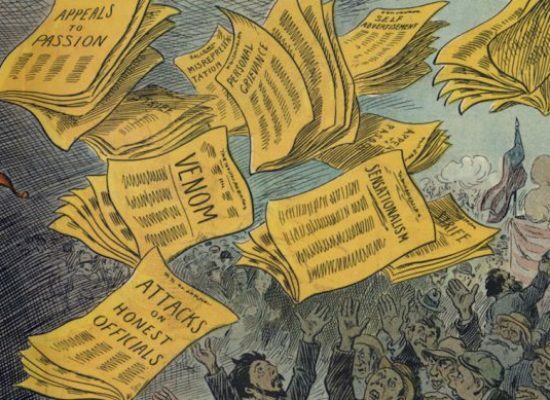 He says the goal “is to put out lots of different theories to raise smoke, to raise dust and to raise confusion and hopefully persuade people that there is no truth here”. Neither the Russian foreign ministry nor the manufacturer of the missile would talk to the BBC. The Russian government rejects any responsibility for the MH17 crash. It insists the official Dutch report is flawed and says it will conduct its own inquiry. There is just one point on which the Russian government agrees with the Dutch investigators – the responsibility borne by the Ukrainian government for failing to close the airspace over the war zone to civilian aircraft, when its own planes had been shot down at a height well beyond the reach of conventional shoulder-mounted missiles. Beyond that, Russia seems to have its own distinct version – or versions – of the truth, and former Ukrainian Prime Minister Arseniy Yatsenyuk, gave me his explanation why.